This chapter contains result of research paper drawn from secondary data answering the question of the paper. This chapter of the paper is structured with table and charts to demonstrate the result in a comprehensive way and with clarity. 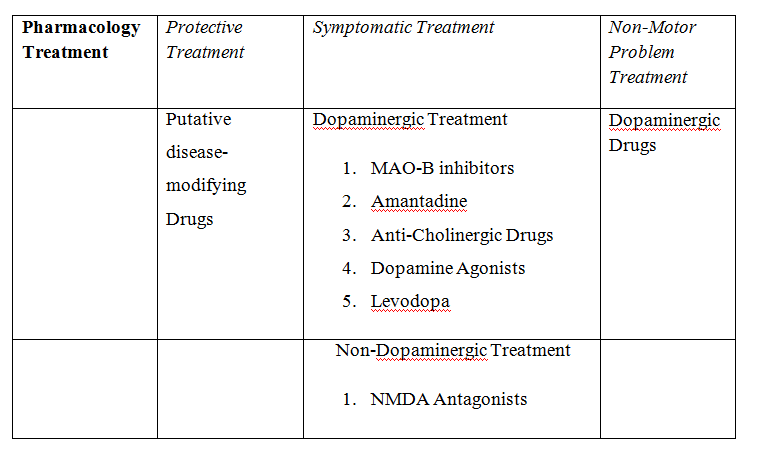 According to Schapira (2007), there are two major treatment options for the patient of Parkinson’s disease: Pharmacological Treatment as well as Surgical Treatment. 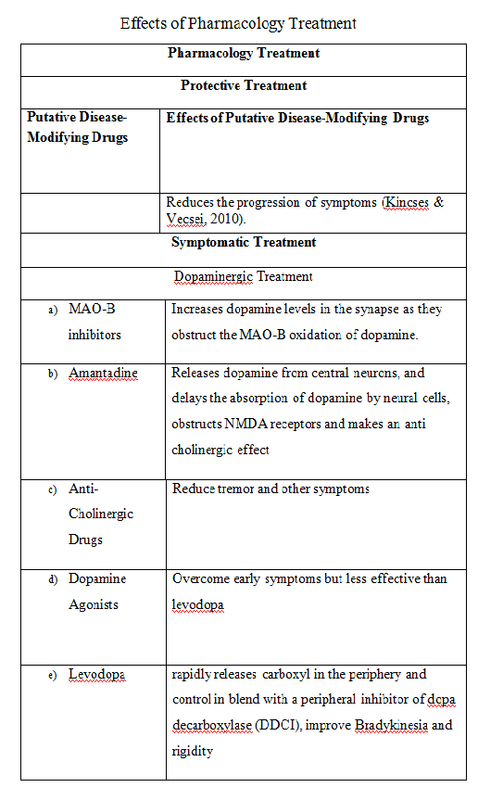 The paper has also revealed how these treatments are effective and the way they are processed. 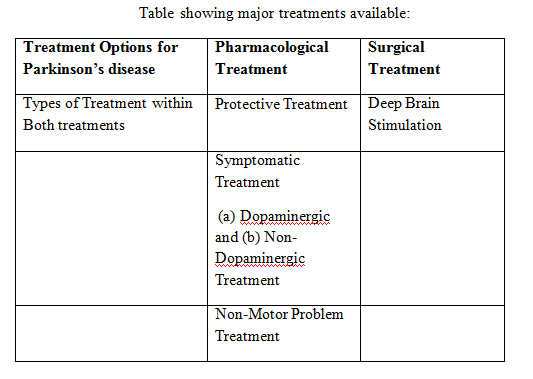 The next section of the chapter shows the findings of result with regard to effects of treatment on Parkinson’s disease.